Pupils are introduced to the use of sketchbooks and are encouraged to use them to record observations and gather resources to help stimulate and develop imaginative ideas throughout. 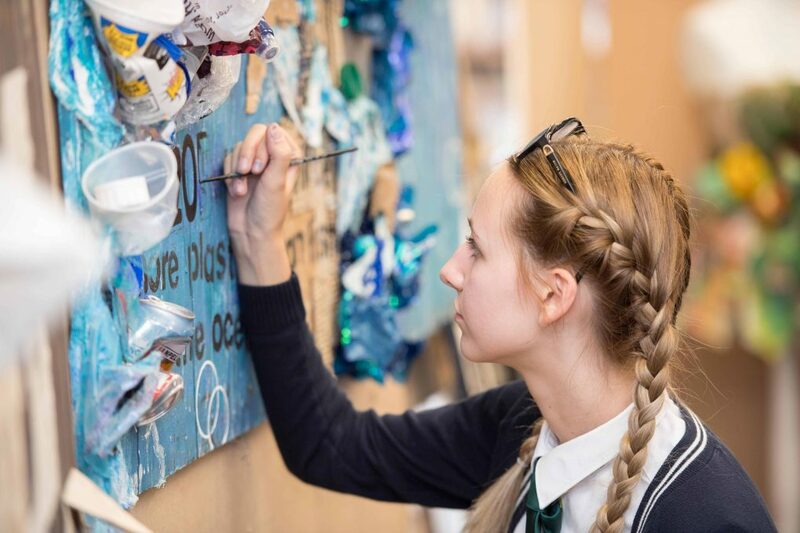 Pupils are taught the visual language of art, craft and design through the promotion of skills, knowledge and understanding. Given the opportunity to work with a variety of materials using different tools and techniques. These may include paint, collage, sculpting and printmaking. Drama is taught to all students beginning with Music and Movement in Kindergarten and progressing to GCSE level for those choosing it as an option in Lower 5 (Year 10). Drama in education, whilst using acting techniques, does not aim to produce actors but to enable students to understand topics and issues through empathy. It increases confidence and enables communication skills to develop. It is our aim that all our students be comfortable to stand in front of a group of people and present an idea, product or point of view. In addition to the curriculum, for those who enjoy this subject and wish to extend their knowledge and skills, Lamda classes are available as an extra-curricular activity which enable students to study for examinations in ‘Speaking Verse and Prose’, ‘Solo Acting’, ‘Reading for Performance’ and ‘Public Speaking’. Examinations are sat once a year in school with outstanding results. Senior pupils have the opportunity of taking part in the annual production, a joint venture between the Music and Drama departments. Miss Ibbotson and Mrs Zoller produce a play which is performed in June. 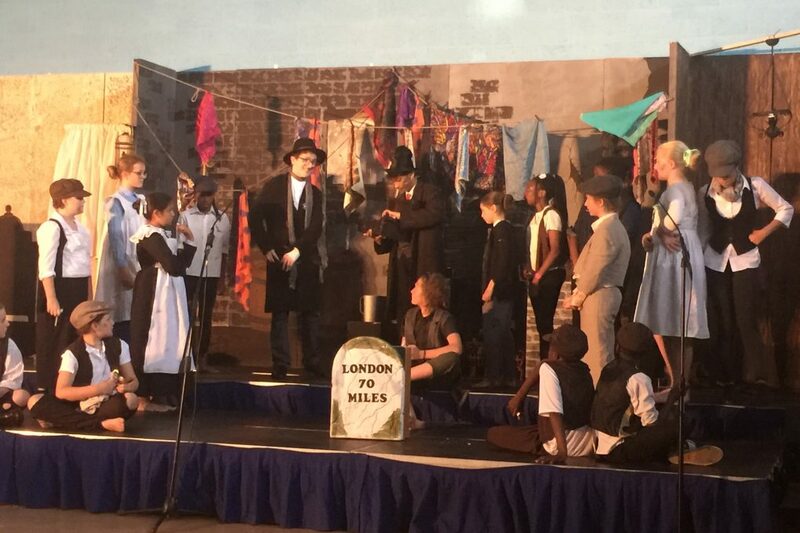 Some recent productions have included, ‘Bugsy Malone’, ‘Cats’ and ‘A Day in the Life of St Joan’s’ and ‘Oliver’. Students from U2 (Year 5) upwards wishing to take part attend rehearsals after school in preparation for this. They also have some weekend rehearsals just before the opening of the play and some attend dance rehearsals, with Mrs Gardner, or singing classes, with Miss Ibbotson, at lunch times, to perfect their roles. This is a wonderful opportunity for students to experience the joy of theatre and to learn commitment, team work and memory skills as well as the acting skills necessary to perform a full-length production. Mrs Zoller also directs a choral verse group that she rehearses after school, from September to November, in order to compete in the Chelmsford Festival where they are always very successful. Theatre trips are also an important part of Drama studies. This country has a great tradition of theatre and it is a part of the culture that our students are encouraged to embrace. This begins with the very British tradition of pantomime and all our lower school pupils have the opportunity of attending a professional production every Christmas. In the senior school, trips are arranged to both local and West End theatres whenever possible. This academic year trips have been arranged to, ‘Things I Know to be True’, ‘Singin’ in the Rain’, ‘The Turn of the Screw’ and ‘Blood Brothers’. These all complement schemes of work. Recently a professional production of ‘Wind in the Willows’ was performed in school and mask and puppet-making workshops were delivered by the theatre companies’ technician and we look forward to a performance of ‘Treasure Island’ later in the year. St John’s School has a thriving music department, with a range of curricular and extra-curricular opportunities. Each class in the Preparatory School has a weekly music lesson where they are taught many skills including how to sing at pitch and how to keep to a beat, as well as a general appreciation of Music. 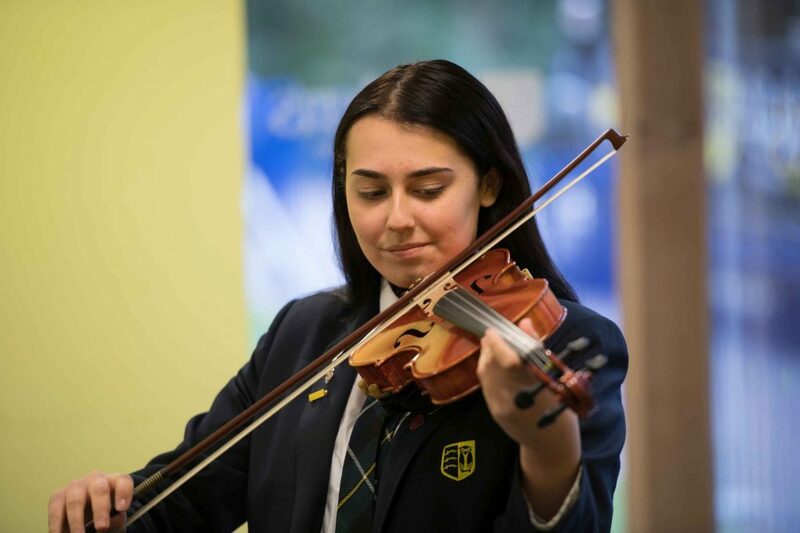 Music lessons continue into the Senior school for Years 7 and 9, and it becomes an Options subject for Years 10 and 11. We also offer voice coaching and singing lessons. Please do let us know if you wish to play an instrument that is not listed above, as we are always looking to expand our repertoire. Pupils in the Junior and Senior school have the opportunity to play in the school orchestra. This is a fantastic opportunity to take part in school events and to have fun whilst playing an instrument. A range of concerts and performances take place throughout the year, with the highlights of the year including our Spring Concert and the Summer musical performance.